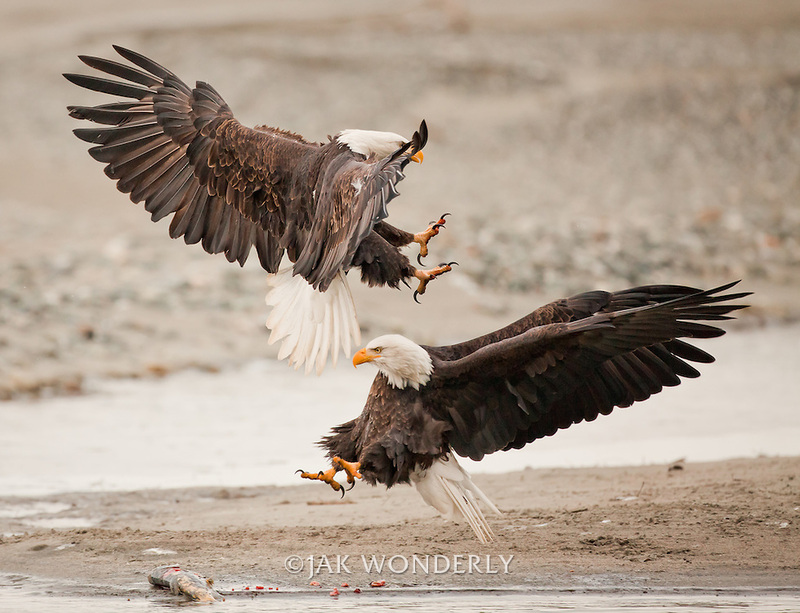 Two mature bald eagles grapple for feeding rights on a salmon. © 2010 Jak Wonderly Photography. All Rights Reserved.